Từ điển Nhật - Việt Lạc Việt là từ điển chi tiết và chính xác nhất hiện nay phục vụ cho nhu cầu học tập và nghiên cứu. Số lượng từ hơn 320.000 từ và mục từ, bao gồm 3 bộ từ điển: Nhật –Việt, Việt – Nhật, Việt – Việt. 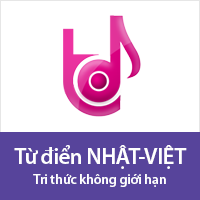 Phiên bản vĩnh viễn. - Finding Japanese meaning by Hiragana, katakana, Kanji. Explanation of meaning is very clearly by Japanese and Vietnamese. - Auto look: Easier searching with 1 click (Ctrl + Right click directly on the word). To hear a word’s pronunciation, click the sound icon in the Definitions window. This dictionary allows you to research any word appearing in the Definitions windows. Before that, In the explanation window if you don’t know some words you can double click on it to see its meanings immediately. Note: You can click on any Japanese or Vietnamese word and find out it’s meaning. This is a useful function for internet users. A Quick view window is always displayed on the top of an application. Activate this function by clicking on MTD symbol in right bottom taskbar of the screen. Highlight and drag any word you want from website and release it into Quick view window, the dictionary will suggest the most accurate word/phrase. Can use cross references function in here. 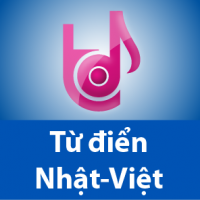 If you want to remember the hard word you just have to press the icon “Đánh dấu” it will keep that word in history searching. Automatically appearing window at the bottom of the screen will remind user of learning vocabulary. Amount of vocabulary can be customized in Setting option. Tôi có thể mua pm này sử dụng 24 tháng được kg? xin cám ơn! Cuối cùng Từ điển Nhật - Việt cũng có ở đây. Cám ơn LẠC VIỆT rất nhiều!!! Để tôi kéo về dùng Trial thử xem. Xin cho hỏi nếu mua Key vĩnh viễn thì mỗi lần cài lại Windows có Backup và Phục hỗi được không? - Install the software into your computer and run the program. It will ask you to enter the product key to active your license. - You will get the Product key after finishing the payment. (you can see it in the purchasing History). Use this series and enter it to the text box to active. 1- Active Online: Choose Active online if your computer has the internet connection. Press Next, the program will automatically registry the license key. (finish and donot need to do step 2). 2- Manual: If no internet connection, you choose Manual and use Test key to registry license. Choose one of 3 registration below. - Send a SMS to 0908043635 by enter: MTDJVN [Test key] (VD: MTDJVN CFC9-D106-3800-0050). - Dial to: (84-28) 3844 2477 supporting team. Enter the lisence key as requirement of step 1 and hit the Enter button and Finish it.